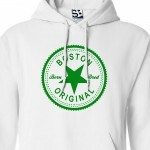 Born & Bred Original Inverse Hoodies There are 44 products. Represent your hometown with the Brooklyn Born & Bred Original Inverse T-Shirt. Match colors with your club or team. We can create your own Custom Inverse tee shirt or sweatshirt, with your own city or town, check out our Custom Inverse Shirt and Custom Inverse Hoodie. Represent your hometown with the Bronx Born & Bred Original Inverse T-Shirt. Match colors with your club or team. We can create your own Custom Inverse tee shirt or sweatshirt, with your own city or town, check out our Custom Inverse Shirt and Custom Inverse Hoodie. Represent your hometown with the New York Born & Bred Original Inverse T-Shirt. Match colors with your club or team. We can create your own Custom Inverse tee shirt or sweatshirt, with your own city or town, check out our Custom Inverse Shirt and Custom Inverse Hoodie. Represent your hometown with the Arizona Born & Bred Original Inverse T-Shirt. Match colors with your club or team. We can create your own Custom Inverse tee shirt or sweatshirt, with your own city or town, check out our Custom Inverse Shirt and Custom Inverse Hoodie. Represent your hometown with the Atlanta Born & Bred Original Inverse T-Shirt. Match colors with your club or team. We can create your own Custom Inverse tee shirt or sweatshirt, with your own city or town, check out our Custom Inverse Shirt and Custom Inverse Hoodie. Represent your hometown with the Bay Area Born & Bred Original Inverse T-Shirt. Match colors with your club or team. We can create your own Custom Inverse tee shirt or sweatshirt, with your own city or town, check out our Custom Inverse Shirt and Custom Inverse Hoodie. Represent Boston with the Brooklyn Born & Bred Original Inverse T-Shirt. Match colors with your club or team. We can create your own Custom Inverse tee shirt or sweatshirt, with your own city or town, check out our Custom Inverse Shirt and Custom Inverse Hoodie. Represent your hometown with the California Born & Bred Original Inverse T-Shirt. Match colors with your club or team. We can create your own Custom Inverse tee shirt or sweatshirt, with your own city or town, check out our Custom Inverse Shirt and Custom Inverse Hoodie. Represent your hometown with the Chicago Born & Bred Original Inverse T-Shirt. Match colors with your club or team. We can create your own Custom Inverse tee shirt or sweatshirt, with your own city or town, check out our Custom Inverse Shirt and Custom Inverse Hoodie. Represent your hometown with the Dallas Born & Bred Original Inverse T-Shirt. Match colors with your club or team. We can create your own Custom Inverse tee shirt or sweatshirt, with your own city or town, check out our Custom Inverse Shirt and Custom Inverse Hoodie. 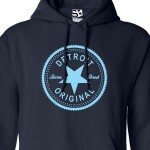 Represent your hometown with the Detroit Born & Bred Original Inverse T-Shirt. Match colors with your club or team. We can create your own Custom Inverse tee shirt or sweatshirt, with your own city or town, check out our Custom Inverse Shirt and Custom Inverse Hoodie. Represent your hometown with the East Side Born & Bred Original Inverse T-Shirt. Match colors with your club or team. We can create your own Custom Inverse tee shirt or sweatshirt, with your own city or town, check out our Custom Inverse Shirt and Custom Inverse Hoodie. Represent your hometown with the Harlem Born & Bred Original Inverse T-Shirt. Match colors with your club or team. We can create your own Custom Inverse tee shirt or sweatshirt, with your own city or town, check out our Custom Inverse Shirt and Custom Inverse Hoodie. Represent your hometown with the Houston Born & Bred Original Inverse T-Shirt. Match colors with your club or team. We can create your own Custom Inverse tee shirt or sweatshirt, with your own city or town, check out our Custom Inverse Shirt and Custom Inverse Hoodie. Represent your hometown with the Los Angeles Born & Bred Original Inverse T-Shirt. Match colors with your club or team. We can create your own Custom Inverse tee shirt or sweatshirt, with your own city or town, check out our Custom Inverse Shirt and Custom Inverse Hoodie. Represent your hometown with the Long Beach Born & Bred Original Inverse T-Shirt. Match colors with your club or team. We can create your own Custom Inverse tee shirt or sweatshirt, with your own city or town, check out our Custom Inverse Shirt and Custom Inverse Hoodie. Represent your hometown with the Michigan Born & Bred Original Inverse T-Shirt. Match colors with your club or team. We can create your own Custom Inverse tee shirt or sweatshirt, with your own city or town, check out our Custom Inverse Shirt and Custom Inverse Hoodie. Represent your hometown with the Nor Cal Born & Bred Original Inverse T-Shirt. Match colors with your club or team. We can create your own Custom Inverse tee shirt or sweatshirt, with your own city or town, check out our Custom Inverse Shirt and Custom Inverse Hoodie. Represent your hometown with the San Diego Born & Bred Original Inverse T-Shirt. Match colors with your club or team. We can create your own Custom Inverse tee shirt or sweatshirt, with your own city or town, check out our Custom Inverse Shirt and Custom Inverse Hoodie. Represent your hometown with the South Side Born & Bred Original Inverse T-Shirt. Match colors with your club or team. We can create your own Custom Inverse tee shirt or sweatshirt, with your own city or town, check out our Custom Inverse Shirt and Custom Inverse Hoodie. Represent your hometown with the Texas Born & Bred Original Inverse T-Shirt. Match colors with your club or team. We can create your own Custom Inverse tee shirt or sweatshirt, with your own city or town, check out our Custom Inverse Shirt and Custom Inverse Hoodie. Represent your hometown with the West Side Born & Bred Original Inverse T-Shirt. Match colors with your club or team. We can create your own Custom Inverse tee shirt or sweatshirt, with your own city or town, check out our Custom Inverse Shirt and Custom Inverse Hoodie. Represent your hometown with the Anaheim Born & Bred Original Inverse T-Shirt. Match colors with your club or team. We can create your own Custom Inverse tee shirt or sweatshirt, with your own city or town, check out our Custom Inverse Shirt and Custom Inverse Hoodie. Represent your hometown with the Austin Born & Bred Original Inverse T-Shirt. Match colors with your club or team. We can create your own Custom Inverse tee shirt or sweatshirt, with your own city or town, check out our Custom Inverse Shirt and Custom Inverse Hoodie. Represent your hometown with the Baltimore Born & Bred Original Inverse T-Shirt. Match colors with your club or team. We can create your own Custom Inverse tee shirt or sweatshirt, with your own city or town, check out our Custom Inverse Shirt and Custom Inverse Hoodie. Represent your hometown with the Charlotte Born & Bred Original Inverse T-Shirt. Match colors with your club or team. We can create your own Custom Inverse tee shirt or sweatshirt, with your own city or town, check out our Custom Inverse Shirt and Custom Inverse Hoodie. Represent your hometown with the Cleveland Born & Bred Original Inverse T-Shirt. Match colors with your club or team. We can create your own Custom Inverse tee shirt or sweatshirt, with your own city or town, check out our Custom Inverse Shirt and Custom Inverse Hoodie. Represent your hometown with the Fresno Born & Bred Original Inverse T-Shirt. Match colors with your club or team. We can create your own Custom Inverse tee shirt or sweatshirt, with your own city or town, check out our Custom Inverse Shirt and Custom Inverse Hoodie. Represent your hometown with the Jalisco Por Vida Original Inverse T-Shirt. Match colors with your club or team. We can create your own Custom Inverse tee shirt or sweatshirt, with your own city or town, check out our Custom Inverse Shirt and Custom Inverse Hoodie. Represent your hometown with the Las Vegas Born & Bred Original Inverse T-Shirt. Match colors with your club or team. We can create your own Custom Inverse tee shirt or sweatshirt, with your own city or town, check out our Custom Inverse Shirt and Custom Inverse Hoodie. Represent your hometown with the Manhattan Born & Bred Original Inverse T-Shirt. Match colors with your club or team. We can create your own Custom Inverse tee shirt or sweatshirt, with your own city or town, check out our Custom Inverse Shirt and Custom Inverse Hoodie. Represent your hometown with the Memphis Born & Bred Original Inverse T-Shirt. Match colors with your club or team. We can create your own Custom Inverse tee shirt or sweatshirt, with your own city or town, check out our Custom Inverse Shirt and Custom Inverse Hoodie. Represent your hometown with the Michoacan Por Vida Original Inverse T-Shirt. Match colors with your club or team. We can create your own Custom Inverse tee shirt or sweatshirt, with your own city or town, check out our Custom Inverse Shirt and Custom Inverse Hoodie. Represent your hometown with the Nayarit Por Vida Original Inverse T-Shirt. Match colors with your club or team. We can create your own Custom Inverse tee shirt or sweatshirt, with your own city or town, check out our Custom Inverse Shirt and Custom Inverse Hoodie. Represent your hometown with the Oakland Born & Bred Original Inverse T-Shirt. Match colors with your club or team. We can create your own Custom Inverse tee shirt or sweatshirt, with your own city or town, check out our Custom Inverse Shirt and Custom Inverse Hoodie. Represent your hometown with the Philly Born & Bred Original Inverse T-Shirt. Match colors with your club or team. We can create your own Custom Inverse tee shirt or sweatshirt, with your own city or town, check out our Custom Inverse Shirt and Custom Inverse Hoodie.